the blog today 🙂 Read until the end of the post to see how to enter. Tassels. Besides a chain headpiece, tassels scream boho as me. 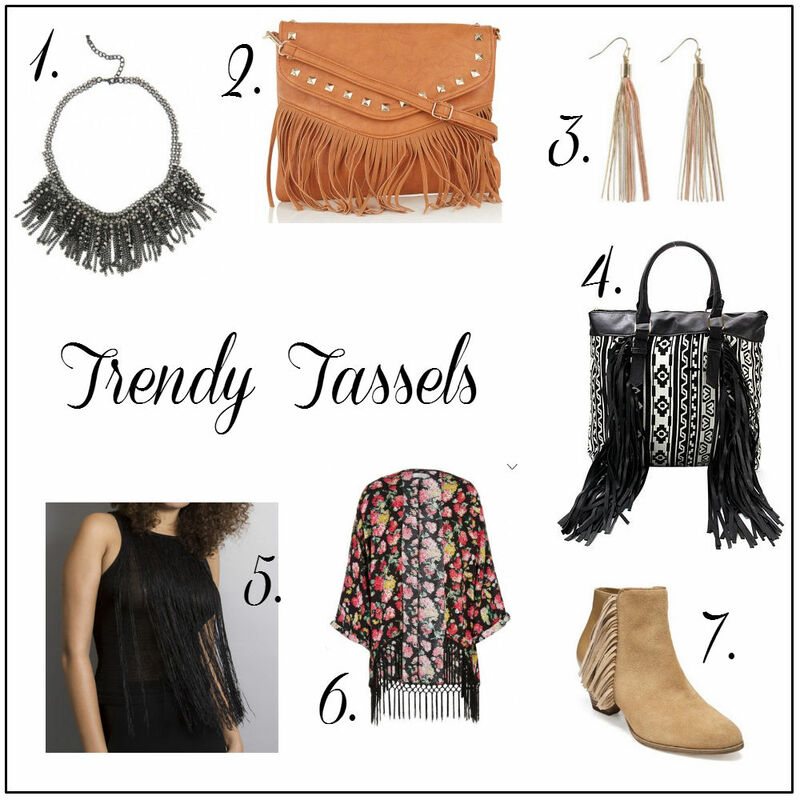 All you have to do to win the Style Republic Fringed Sling Bag (number 2 in the pic) AND the Woolworths Metallic Fringe Earrings (number 3) is to comment below which is your fave tasseled item and to follow my blog by email. Go to my blog (here) and look to the right where it says “Follow by Email” and type in your email address to sign up! I love number 3 as well as number 6. I luuurrrvvvee number 2 and number 7 – need some boots like that in my life! They've got gorgeous Minnetonka fringed boots in Edgars at the moment too!!! That fringe necklace is calling my name!!! Love number 1, but quite frankly all of those items are so so hot! !